I know, it’s a special day, because it’s now the 3rd day in a row I’ve blogged…what can I say…October is special! Well, continuing on in the Pretty in Pink series, we have a new guest today, Mallory Fitzsimmons of Charming in Charlotte. Mallory is just awesome. We met last year when I fell under her spell during the 2014 Spring One Room Challenge. She completely wowed me..and the rest of the blogosphere with her beautiful living room and breakfast nook makeover. More importantly however, you can just tell what a sweet and kind person she is; it emanates from her writing and general friendliness. I’m super excited to share her responses with you! I know you’re just as breathless as me. 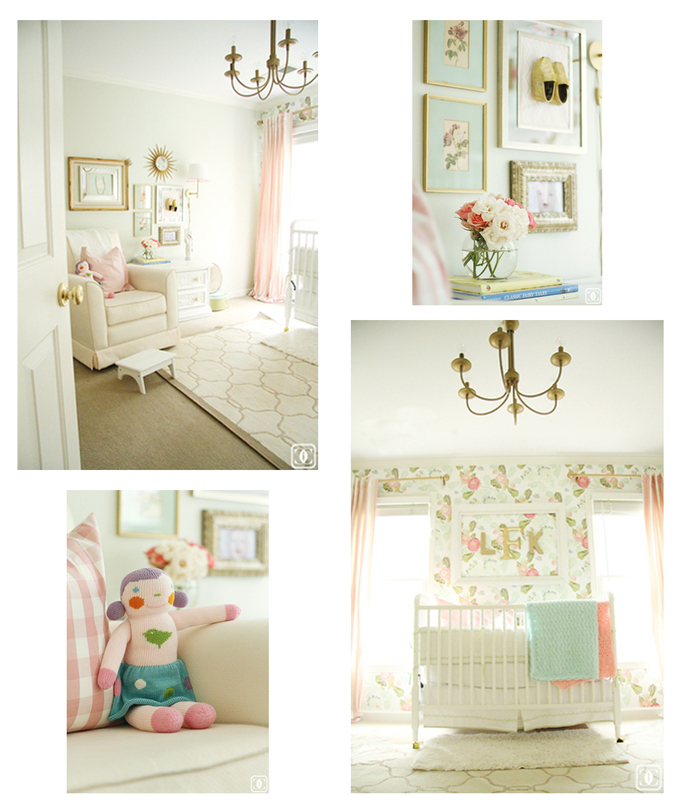 Thank you again so much Mallory for sharing your experiences and that gorgeous nursery. Please check out her new One Room Challenge space. I have a feeling this is going to be one chic powder room!